Roderick McFadyen was a son of my Donald "the pensioned soldier" McFadyen and Flory McLean, born when his parents were at Toraston on the Isle of Coll, Scotland. There is no baptismal entry for him in the Coll parish records. Only five of Donald and Flory's eight children were baptized, which left the birth order partially tentative. For some time I believed Roderick was the third child and third son of this couple. His year of birth ranged from ca.1798-1799 to ca.1806. Roderick (or Rory, the usual nickname) has not been found through the use of 1841 census indexing. Because ships' passenger lists could be even less accurate for age than the 1851 census, for the time being I will go with the earlier birth theory. As yet I don't have a copy of his full death certificate wherein his age would have been noted―another piece of secondary information. The recorded baptisms of two of his brothers (Lachlan, 30 November 1798 and Angus, 16 May 1801) make it possible that Roderick was born between August 1799 and August 1800—assuming normal pregnancy terms and the customary infant baptisms soon after birth. 1) Angus is the first child of this couple and the only one of age for the catechism questions; several more children are all under the age of seven years old; it's likely Angus is between seven and ten years old, therefore not an adult. 2) Peter and Margaret are not "family names." Placing Roderick as the couple's second son alters the earlier generation theory. Roderick McLean (not Angus McLean) would be the likely name of the child's maternal grandfather. I find two adult Roderick McLeans in the 1776 census of Coll. One is married to Flora Morrison with no others in their household, i.e. childless; the supposition would be they are either elderly or recently married, preferably the latter! They are at Arnabost "enumerated" only three households away from Donald-the-soldier's parents. While this Roderick McLean and Flora Morrison seem the best candidates as my Flory's parents, the Coll parish register has no baptisms for any children of this couple. The other Roderick McLean heads a family at Triallain, married to Christian Campbell, with two small children (John, Ann) and a servant. Well ... Christian and John are not "family names" for what it's worth, about all I can muster to argue against this choice. As luck would have it, there is no recorded birth of a Flory/Flora McLean ca.1778 to a father called either Roderick or Angus McLean. We know a little more about Roderick later in life. He married Marion McDonald of Grishipol, Coll, in 1826. Marion was recorded as Sarah in most subsequent records; the two names are known to be used interchangeably despite their dissimilar sounds. In 1828 Roderick's parents and his younger siblings departed for Cape Breton, Nova Scotia, on the ship Saint Lawrence. The young married couple chose to stay on Coll even though living and agricultural conditions were steadily worsening. Roderick and Sarah had nine children born on Coll from 1827 to 1847, father eking a cottar's existence variously at Grishipol, Arivorich, and Torandeich. Notations on the 1851 census show that the children then living at home were being subsidized by the Highland Destitution Commission—like many others on Coll. 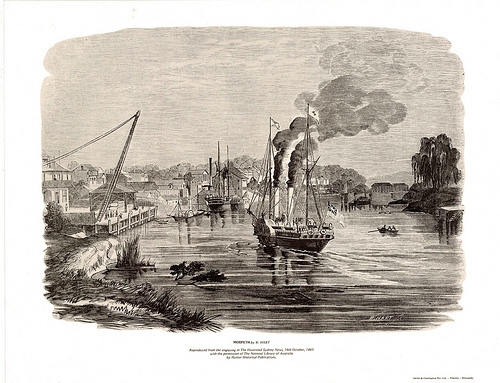 Finally, together with Sarah's parents, they set off for Australia in 1856 on the ship Lloyds. Their destination was the Hunter River Valley of New South Wales, about 200 km north of Sydney. Emigrants from Coll had reached Morpeth and the Hunter Valley as early as 1838, starting a classic migration chain. Roderick's son John preceded him there, perhaps before 1851. The Roderick McFadyen who died at Morpeth in 1870 is identified as the son of Donald and Flora McFadyen. Australian descendants have successfully traced their roots back to Roderick. His son John settled at farm no. 3, Narrowgut, on the river west of Morpeth. "1851 Census Scotland," database, Ancestry.ca (www.ancestry.ca : accessed 1 October 2008), entry for Roderick McFadyen, Argyllshire, Coll & Tyree, Enumeration District 3, p. 10; citing General Register Office for Scotland, CSSCT1851_115, roll 904. "New South Wales, Australia, Assisted Immigrant Passenger Lists, 1828-1896," database, Ancestry.com (www.ancestry.com : accessed 28 February 2010); Roderick McFayden, Lloyds, 1856. Searches at FamilySearch.org, Ancestry.com, and ScotlandsPeople were negative. "List of the Inhabitants in the Island of Coll Decr 2nd 1776," in Coll Kirk Session Minutes 1776-1813; NAS, CH2/70/1. The list is also transcribed at Isle of Coll Genealogy, www.collgenealogy.com. "Isle of Coll Marriages 1821-1855," database, Isle of Coll Genealogy (www.collgenealogy.com : accessed 27 February 2010), McFadden-McDonald marriage, 29 August 1826, parish register 2, p. 8. Saint Lawrence passenger list (1828); Nova Scotia Archives (NSA), MG 1, Vol. 227. NSA states the list is faithfully reproduced in J.L. MacDougall, History of Inverness County, Nova Scotia (1922; reprint, Belleville, ON: Mika Publishing, 1972), 128. Rootsweb.com, SCT-ARL-TIREE Mail List (http://archiver.rootsweb.ancestry.com/th/index/SCT-ARL-TIREE/2010-01) January-February 2010. Deaths search, database, NSW Registry of Births, Deaths and Marriages (www.bdm.nsw.gov.au/ : accessed 12 January 2009), Roderick McFadyen, Morpeth District, death registration no. 4529/1870. Correspondence Michael McFadyen to Brenda Merriman, 2 August 2012. 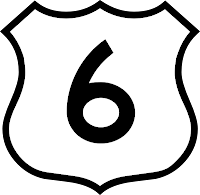 Six years. It's been a road trip. Sometimes it seems like it's been forever, because genealogical problem-solving is endless. But each new problem is fresh and stimulating. The vehicle is more or less familiar now but the scenery and adventures never fail to compel. The detours are just as challenging and rewarding as the main highway. I'm grateful for readers and my followers and the support of the Geneabloggers group. My blog is not solely focused on my historical families or even on a particular resource area. I've become comfortable with cherry-picking from a sometimes-distracting variety of ancestry-related interests; "eclectic" works for me. Though I moved the camels to anotherfamdamily, there will still be some travel posts here that involve genealogy. A recent post on the APG-List [Association of Professional Genealogists] aired frustrations with clients who don't appreciate (or understand) the sheer hard work and time their problems normally require. It really struck a nerve with me. In thirty-five years as a genealogist for hire, the overwhelmingly-frequent attitude I met, and still meet, among the basically uninformed―including inexperienced clients―is how far back can you go? That is the measure the general public perceives as "success"―the length of the pedigree chart or the bushiness of the "tree." It also made me realize that quite often I try to write here about the research process. The details of evidence discussion and negative findings may not always feature in a standard-format family history, and are unwanted on popular genealogy TV programs, but they suit the blogging medium. Even using my own mistakes to illustration a lesson is of benefit to me if no-one else. Like most Geneabloggers, I regularly read a favourite slew of blogs. Some are for community news; others involve problem-solving methodology and the finer points of analyzing evidence. The Internet has spawned an amazing library of good writers—genealogical and otherwise―who inform and inspire. The only drawback is keeping your reading list trimmed to a reasonable length! Every blogger pines for comments and I'm no exception. Comments reflect a connection made or a spark shared, or might even generate a healthy dialogue. The slightest remark now and then can be enlightening or encouraging. This year I've had feedback that it's difficult to leave comments here, and I'm having trouble fixing the blogger.com settings to something satisfactory. If I open up my comment settings to "Anyone" I get a depressing daily pile of web-crawling spambot junk. I used to get more comments a few years ago before Google started regularly changing its own footprints which made me fool around with my settings. Sigh―who remembers what setting they ticked a few years ago that might have worked for a short time and is no longer an option. Currently I'm trying out number three. Realistically speaking, there may be little or nothing to comment on so (cross my heart) I try not to have excessive expectations. No matter the quality or relevance or usefulness herein, blogging seems to be me. It will always be a road trip. He surfaced again for a moment in time. George Porter was alive in 1805! Big deal, you say? Yes!—a big deal to find a man to whom I bade a conditional, frustrated farewell over a year ago. A man who disappeared from Upper Canada records by 1800; a man who left behind four young children in the town of York; whose abandoned wife by this time was bearing the child of another man. In prior research, we knew George received a location ticket for lot 5 concession 3 "east of the Don [River]" in 1795. With diligent labour thereon, a man could expect to receive the crown patent (title deed) for the property in due course. The Index to Land Patents showed unexpectedly that the crown patent issued to Parshall Terry on 2 August 1803, presumably because George had defaulted due to his disappearance. York Township Papers pre-dating the crown patent shed no light on George. To all intents and purposes, he completely vanished after 1799 when he was last recorded living in York. A wide range of sources did not turn up a convincing "likely" George Porter in the following years. However, a search of the York Township Abstract Index to Deeds—a chronological index to post-patent transactions―uncovered a surprising truth. The search would normally be considered useless because each piece of property only begins with the patent owner. But, turn out the patent did issue in George Porter's name on 10 July 1801 (not August 1803). Furthermore, George Porter "late of York, carpenter" sold the land to Parshall Terry―a regular "bargain and sale" between two individuals―on 17 September 1805. Alas, the document copy does not contain any information as to money or consideration George might have received. Nor does the conveyance state where George was residing at the time! What the document does tell us is that George employed a man called Samuel Heron as his attorney to enact the sale for him. Heron was a Scotsman known to be in the towns of Newark and York at the same time as George; their marriages took place about the same year. Their properties north of York town were not far from each other. Heron stayed in York and vicinity to become a merchant and a miller; business reverses left him in debt by the time he died in the 18-teens. Wherever George had betaken himself, he trusted Heron to perform the transaction for him. Both Heron and Terry must have known where George was. If I want to find out what eventually became of George Porter, the new information adds some possibilities from Samuel Heron's timeline. But the total lack of clues to George's nativity is very hampering. Heron's Scottish origins in Kirkcudbright are a non-starter because no George Porter was baptized in Dumfries. It's barely possible they met during Heron's brief stay in New York City. It seems certain they would have known each other in the small town of Newark where Samuel joined his merchant brother Andrew Heron in 1793. 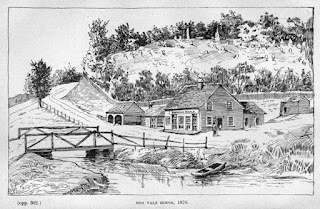 Parshall Terry was another York pioneer; a Loyalist with Butler's Rangers, he finally settled along the Don River. He would have been well acquainted with his neighbour George. But I don't think he's going to help me because he died in 1808 while crossing that same river. Unlike George (apparently), Terry and Heron were ambitiously entrepreneurial and acquired large tracts of land—for better or worse at times. Now we know that George did not mysteriously die around 1799. Had he gone east to Kingston or Montreal? To the Western District? South to the U.S.? Where will he show up next?—there has to be a next time! Ontario Land Records Index, Listing by Surname, George Porter, location ticket lot 5 concession 3 York Township, 1795; Archives of Ontario (AO) fiche sheet 39. Index to Ontario Land Patents 1790-1912, Vol. 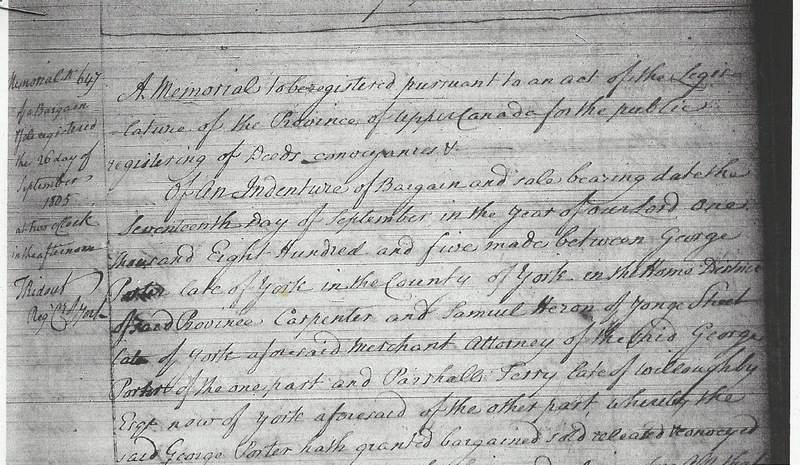 1, folio 82, grantee George Porter, issued to Parshall Terry 2 August 1803; AO microfilm MS 1, reel 6. York Township Papers, Lot 5 Concession 3; AO microfilm MS 658 reel 534. 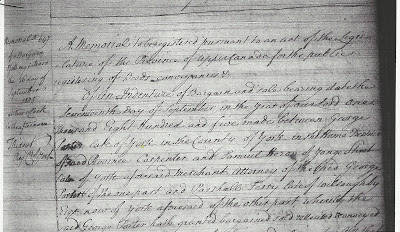 Christine Mosser, ed., York, Upper Canada, Minutes of Town Meetings and Lists of Inhabitants, 1797-1823 (Toronto: Metropolitan Toronto Library Board, 1984), 13; George Porter, three males and two females, 1799. York Township Abstract Index to Deeds, Lot 5 Concession 3 from the Bay; AO microfilm GS 6443. Old York County Copybook of Deeds, Vol. 3 (1801-1806), no. 647, Porter to Terry; AO microfilm GS 5906. W.T. Ashbridge, The Ashbridge Book: relating to past and present Ashbridge families in America (Toronto: The Copp, Clark Company limited, 1912), digital image, Open Library (http://openlibrary.org/books/OL19342016M/The_Ashbridge_book : accessed 19 February 2013), 87. The Heron-Ashbridge marriage 14 December 1794 was recorded in an Ashbridge family Bible and thus was not a source for George Porter's marriage. George's first child was born in York, May 1794, according to unconfirmed sources. "Samuel Heron," Dictionary of Canadian Biography (http://www.biographi.ca/009004-119.01-e.php?&id_nbr=2459 : accessed 18 February 2013). 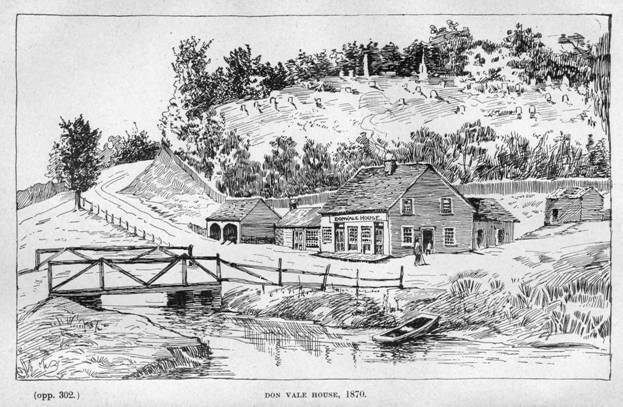 Edith G. Firth, ed., The Town of York, 1793-1815 (Toronto: University of Toronto Press, 1962), 186.